Address: 8902 S. Old Oregon Inlet Rd. Luxury abounds in this outstanding Semi-Oceanfront home. 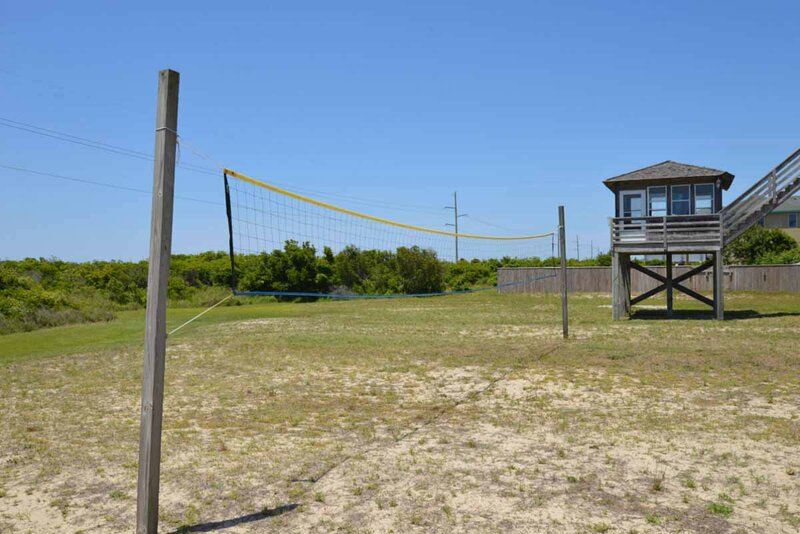 Bordering on the Cape Hatteras National Park & located across the Beach Road from the Outer Banks Fishing Pier, this is everything your family could want in a Vacation Home & More! 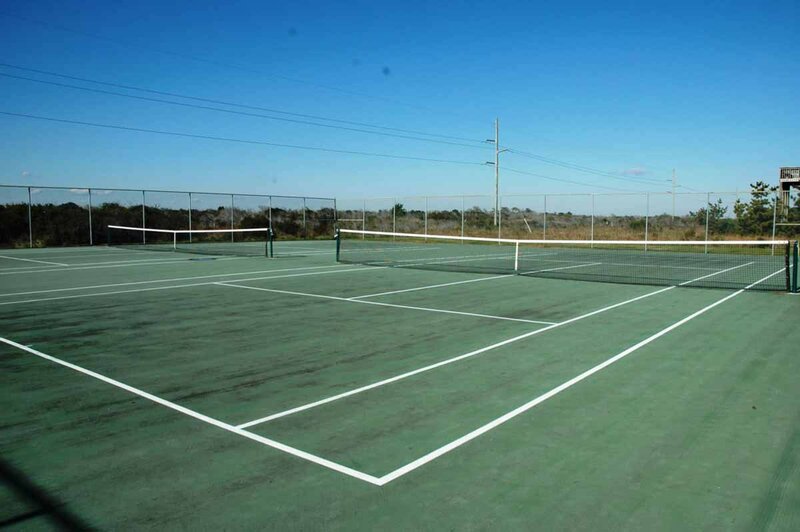 Excellent Ocean & Park Views, Direct Access to Beach (500 Ft.), & Three (3) Complimentary Weekly Passes to the Outer Banks Fishing Pier (inquire at Pier w/Unit number), Plus access to the South Creek Acres Community Swimming Pool & Tennis Facilities at No Extra Charge. Ground Level: Parking for 5 Cars, Basketball Hoop, Steps to Covered Entry, 2 Bedrooms (1 Master Suite w/King & Full Bath & 1 w/Queen), Hall Bath, Den w/TV & DVD, & Covered Deck, Access to Private Swimming Pool (12 x 20), Hot Tub, Enclosed Outside Shower, Horseshoe Pit, Volleyball, & Charcoal Grill. Mid Level: 3 Bedrooms (1 Master Suite w/King & Full Bath, 1 Master w/Queen & Full Bath, & 1 w/2 Bunk Sets), Full Hall Bath, Rec. Room w/Pool Table, Foosball, Arcade Game w/Ms. Pacman & Galaxia, Darts, & a Wet Bar w/Full Size Refrigerator, & Expansive Covered Deck w/Furniture. 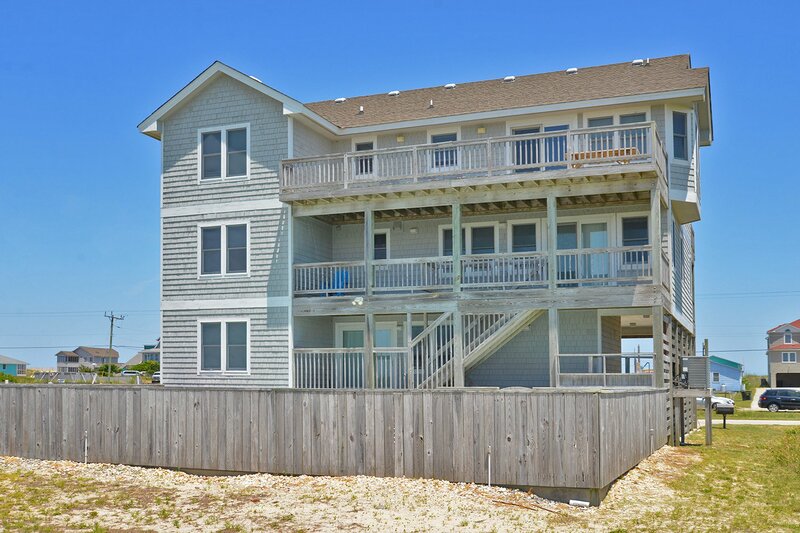 Top Level: Living/Dining/Kitchen Area, Half Bath, 2 Master Suite w/Kings (1 w/Jacuzzi Tub & Separate Shower), & 2 Sun Decks w/Furniture (1 Overlooking Pool & Cape Hatteras National Park & 1 w/Excellent Ocean Views). Features include: C/AC & Heat, Washer/Dryer, Dishwasher, Microwave, 2 Full Size Refrigerators, 11 TVs (1 42 Inch LCD HDTV), 3 VCRs, 4 DVDs, Blu-Ray, Wireless Internet, Books, Board Games, Puzzles, Baby Equipment (High Chair & Port-a-Crib), Ceiling Fans, & Pool & Deck Furniture. No Pets. This is a Non-Smoking Unit. Your home is our vacation home. The home was well kept which provided a pleasant stay. Overall we enjoyed the house very much. It was well stocked with kitchen appliances, pots, pans, and dishes. We loved the outside space at the pool and the kids enjoyed the basketball hoop and volleyball net. It was great having the remotes and light switches labeled. We loved having the large dining room table and the small table. It fit our group very nicely. Game room great asset to the house. Loved bathrooms, showers, televisions on all levels. Enjoyed family time but still had own quiet spaces in which to retreat. Nice home! Good location for going to the beach and pier to fish. Loved the pool, great views, great location. Great location, the game room was nice for entertaining the kids when the weather was bad. Bedrooms were good size. Perfect location, spectacular views, wonderful home! Glad home is our favorite beach house yet! The home was clean, very quiet, and accommodated our family perfectly. Great location across from the Outer Banks Fishing Pier. We have stayed here 4 or 5 times and like the location and house very much.